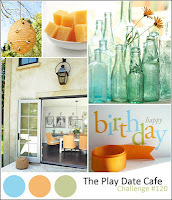 Playing along today with The Play Date Cafe challenge and the colors just are so fun! 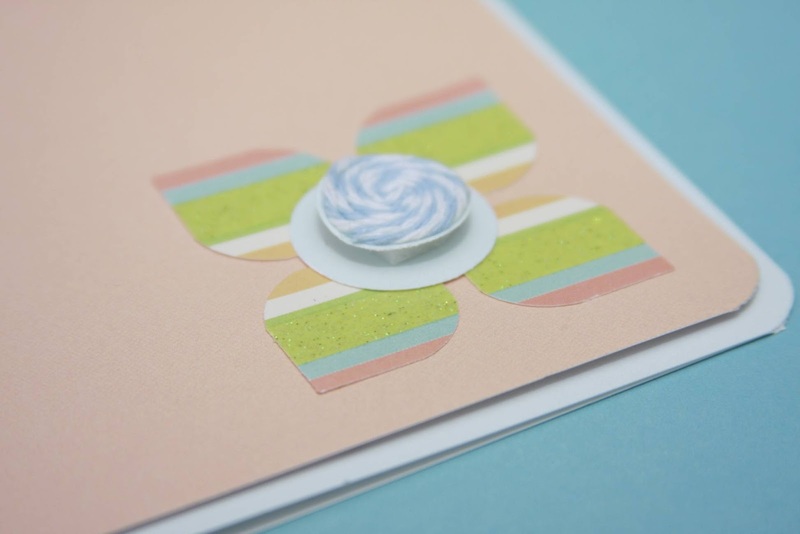 So I always tell you that I'm not a cardmaker and this just proves it...spare, simple and few embellishments. But what I did add to pump up the volume was this cute twine pop dotted element that adds another texture in addition to the sparkly glitter in the green stripes of the patterned paper. After applying Glossy Accents to a punched circle, I wound Shore baker's twine around and around. Won't you come play, too? Just love your card! Just shows that you don't need a lot of stuff to make beautiful things. I'm playing with. Glad to know you're playing! Monika - so sweet and dainty! SO glad you joined us this week in the Cafe! 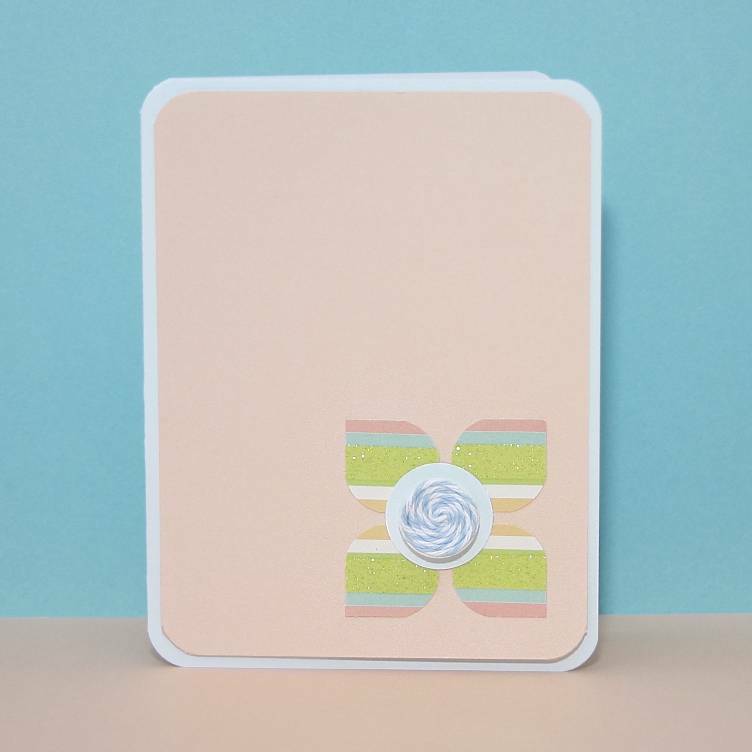 This is so so pretty, love the soft pastel colours and the unique design element. So sweet, Monika! LOVE those bits of glitter and your twine center! Thanks so much for playing along with us this week at The Play Date Cafe! Thanks, Jinny! I do adore adding a bit of The Twinery twine to a project. This is gorgeous Monika! It's stunning in its simplicity! I love how you've done the twine, so very pretty. Thanks so much for joining in the fun with us over at The Play Date Cafe this week!